The world feels at home in Cologne, where people meet for a Kölsch, a chat or simply a laugh. Life in Cologne is vivacious. Cologne provides over 250 hotels with a total capacity of more than 26,000 beds. Prime location in the heart of Europe and exemplary infrastructure also a multitude of highly specialised modern economy. Cologne’s Schildergasse is the most-visited shopping street in Germany. Locals and visitors alike are already waiting impatiently for the chance to get down to the Christmas market at Cologne’s Cathedral. 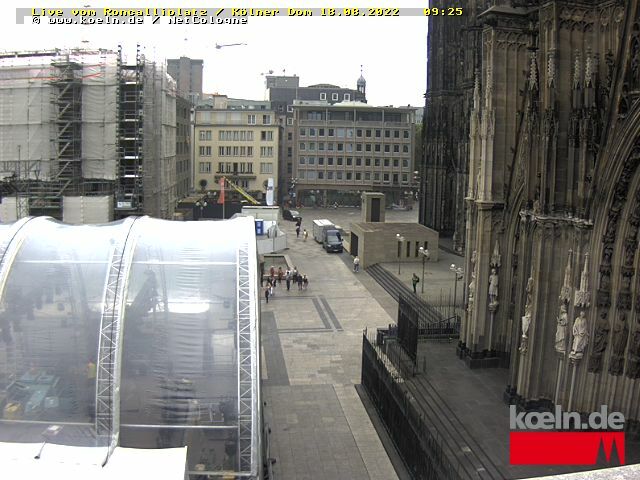 And if you simply can’t wait any longer, get online and sneak a peek at the popular Christmas Market on the koeln.de webcam. Snapshots of the festive activities are updated every three minutes. The view in the evening when hundreds of lights illuminate Roncalliplatz is unrivalled. It is no wonder that the Cathedral Christmas Market is one of the most popular in Germany.